I am excited to announce All Star Cleaning Services’ new Recycling Program! Well, it is not really new, but it recently occurred to me we have never put anything up on the website about it before! You can now leave any recyclable material that does not qualify for curbside pickup out for your crew, and we will recycle it for you. 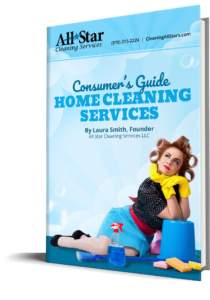 This completely free service is available to all current All Star clients – just one more way we are making your life a little easier, and a little greener. Chemicals Too! Haven’t gone green yet? Ready to make the switch but don’t know what to do with all the harmful chemicals still lurking around your home? Leave them for us, and we will properly dispose of them for you.